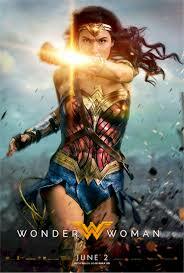 Tony's Talking Pictures Blog: New on Blu-ray & DVD for September 19, 2017 "The Big Sick" and "Wonder Woman"
New on Blu-ray & DVD for September 19, 2017 "The Big Sick" and "Wonder Woman"
Based on the real-life courtship between Kumail Nanjiani and Emily V. Gordon, “The Big Sick” tells the story of Pakistan-born aspiring comedian, who connects with grad student. However, what they thought would be just a one-night stand blossoms into the real thing, which complicates the life that is expected of him by his traditional Muslim parents. 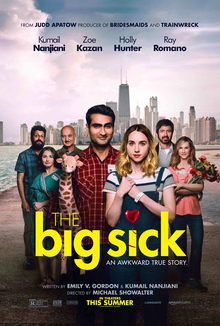 “The Big Sick” is a wonderfully eloquent and touching love story that goes far beyond a traditional romantic comedy. Do not pass this one by. It gets an A and is rated R.
There are comedies galore at dvd.netflix.com! Use this code to get started - bit.ly/dvdtonyt - and choose from thousands of DVD's and Blu-ray titles!